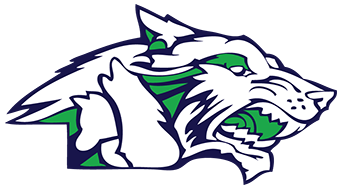 HELENA — Glacier stifled Helena Capital early and shot lights-out from the field to win its Western AA divisional opener at Helena High. The Wolfpack limited the Bruins to 15 points in the first half, including just five points in the first quarter, to stake itself to an early lead. 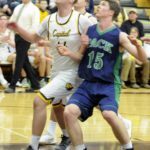 Capital stood little chance of overcoming its early deficit due to Glacier’s hot shooting performance. 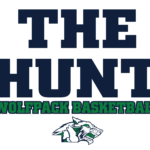 The Wolfpack knocked down 61.3 percent of its shots in the game and a staggering 83.3 percent of its attempts in the second half. 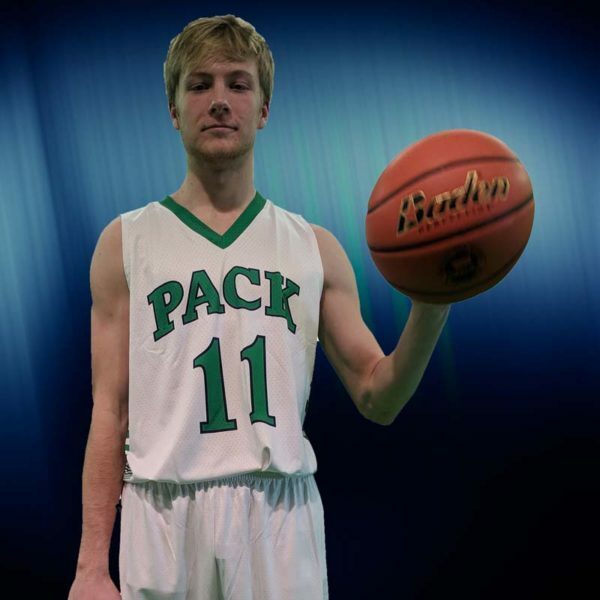 Brec Rademacher led the offensive charge with 21 points. He enjoyed a very nice night from 3-point range, knocking down 6 of 9 attempts from beyond the arc. His six 3s left him one short of his own single-game school record. “He’s got a quick release, and he doesn’t need a bunch of room,” Glacier head coach Mark Harkins said. 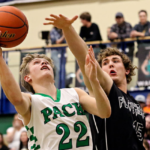 Kody Jarvis tallied 10 for Glacier, which downed Capital for the third time this year. 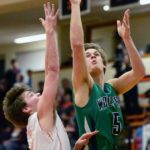 The Wolfpack now gets another shot at Missoula Sentinel, which defeated Glacier twice in the regular season. 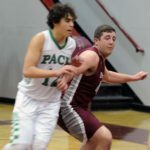 The Spartans bested Glacier 66-59 in Missoula and 65-62 in Kalispell. 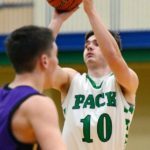 Sam Beighle, the state’s leading scorer, posted a combined 70 points in the two games, and Harkins said whether Glacier can slow him would determine whether it can reverse its regular-season luck. GLACIER: Caden Harkins 1, Collin Kazmier 2, Brec Rademacher 21, Kody Jarvis 10, Drew Engellant 6, Alex Whitman 5, Nick Whitman 6. HELENA CAPITAL: Matt McGinley 2, Brady Martin 5, Cade Kidder 10, Michael Nettleton 2, Mark Northey 7, Shane Haller 4, Trevor Swanson 6.